Tires that meet or exceed the discriminating standards of the biggest names in the ultra-high performance category. Chosen by the world's top sports car manufacturers. Tread design breaks traditional compromises by putting more rubber on the road to facilitate precise cornering and consistent straight-line performance. High performance cornering. Unique tread design utilizes both a semislick outer tread and a wet-styled innertread to help deliver high levels of wet and dry performance. Outstanding wet and dry performance. Great tire on and off the track, highly recommended. Best tires I have put on any vehicle. Thanks guys!!! Great summer tire. Deep wide straight center grooves to handle moderate water on roads at speed. Wear is not great, but that's expected for high grip. Tracked car once at Loudon (road track, not Nascar track) and they were great at higher pressure (guess 45 psi). Absolutely amazing tire on my M3. Will definitely buy again. Have a lot of traction both wet and dry and stick to the ground when cornering. Only downside is tread life is not very good, but considering how soft and tacky the tires are, it isn't too bad. 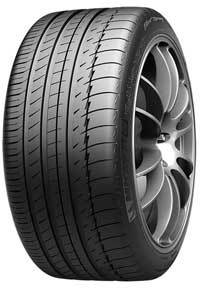 Best tires for the money. Im sure these tires handle well under normal conditions but traction is hard to come by on a high torque vehicle.